MOC Staff Farewell 2018 in Style! 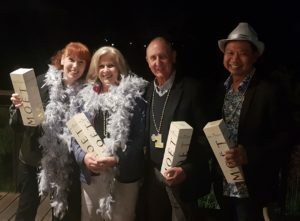 MOC staff and partners had a fun filled night at Wembley Golf Course to finish off the 2018 calendar year. 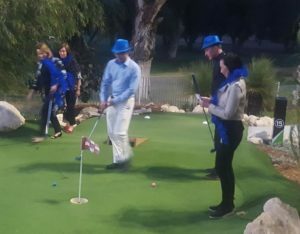 The evening started with predinner drinks and canape’s, followed by teams competing in an ambrose mini golf tournament; all vying to be crowned the putt-putt champions. 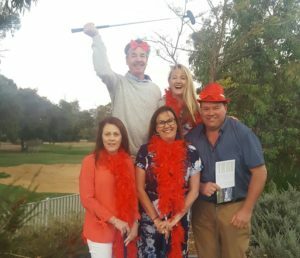 Team Silver took out the title; well done Gerald, Michelle, Chris, Eric and Karen. Team Red gracefully accepted the consolation prize and were also unofficially awarded loudest team of the night! The night was relaxed and stress free until the secretaries were put under pressure in the ultimate battle for the title of Secretary of the Match! Congratulations to Dianne for winning this battle round! 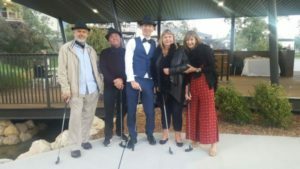 Following this fun event, dinner was held on the deck of 300 Acres Restaurant, overlooking the picturesque surroundings of the golf course, which was a relaxing end to a great night. Let the planning begin for 2019!